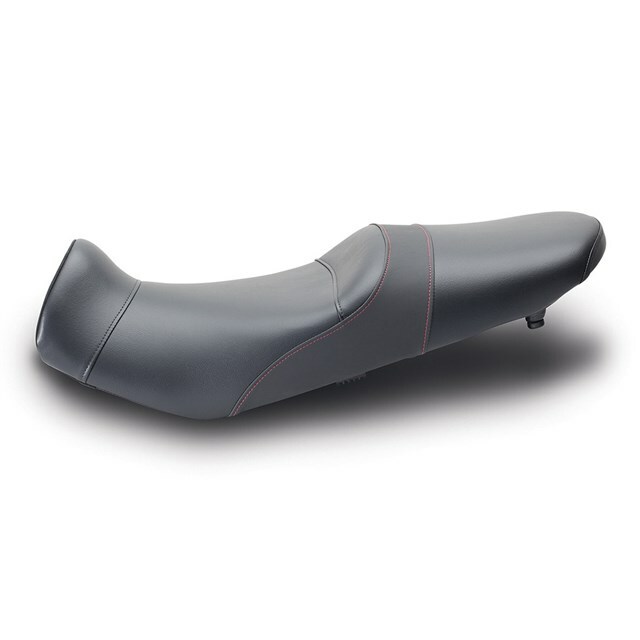 Built for the demands of long hours in the saddle, the V-Strom Gel Seat has been extensively tested, designed and produced in the USA. Features a reshaped and more contoured design with a textured vinyl cover over a gel insert in the rider's area for superior comfort. Gel seats use standard Suzuki seat bases and hardware for a perfect fit.